An email signature is perhaps the most neglected opportunity in business communications. A well-designed email signature gives you one last chance to provide information or even a call to action. If your email signature is designed well it will make you look more professional and it can lead to more conversions. Email signatures can open opportunities to connect on social networks, show a book or article, create a call to action, and provide all of the best contact information in one place. If they’re designed well they can make you money. In this article, we’ll look at how to write a professional email signature that converts. A professional email signature could include 3-4 lines of text, an image, social media links, and an interesting layout. You can even include animation or a simple call to action. The most important thing to remember is to keep it easy to understand. You can create your signature as simple text, but you get the best results by building them with HTML. 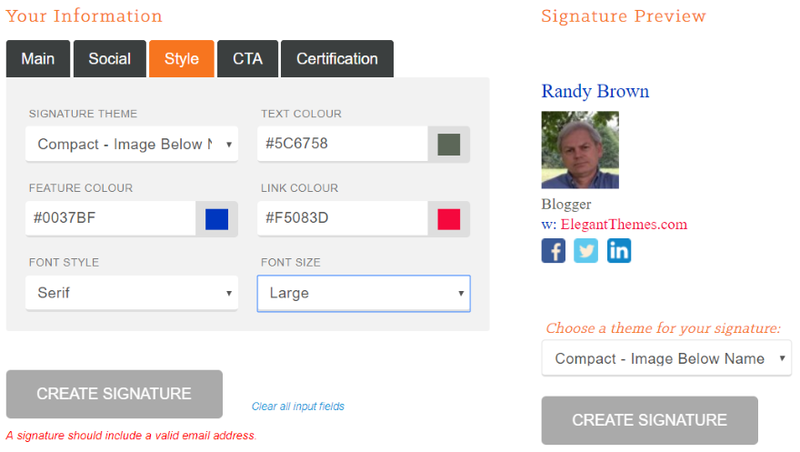 You can build them by hand or with an email signature builder. Practically every email client includes a signature option in the settings. 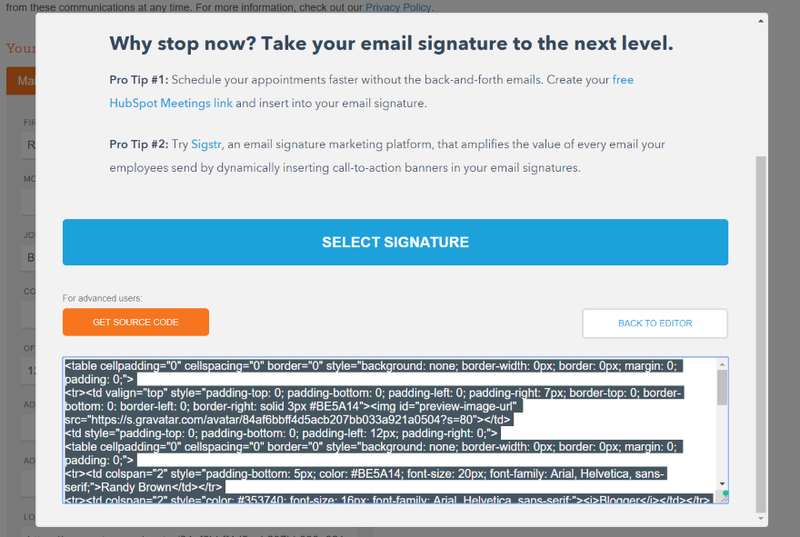 Once you’ve created your signature you’ll just need to paste the code into your email client’s settings. You could add a simple call to action as a link at the bottom of your email. It should just be a single line that alerts to a download, asks to schedule a call, attend an event, or just about anything that’s related to your business. People remember color images better than they remember text or even black and white images. This is why logos are so important. Don’t use just any image. The best option is to use your portrait because it’s more personal to you. This can be your avatar or Gravatar. People like to put faces to names, especially in a professional environment. Don’t just use a photo though. It still needs the supporting text. Don’t try to include everything. Keep it simple. Less is more. This one has so much information that it will probably just get ignored. Of course, it could be cleaned up a little by using social icons, but there’s still too much here. Many email signatures include the email address, but it’s not really necessary. They already have your email address in the FROM section in the email header, so it’s okay if this information isn’t included. 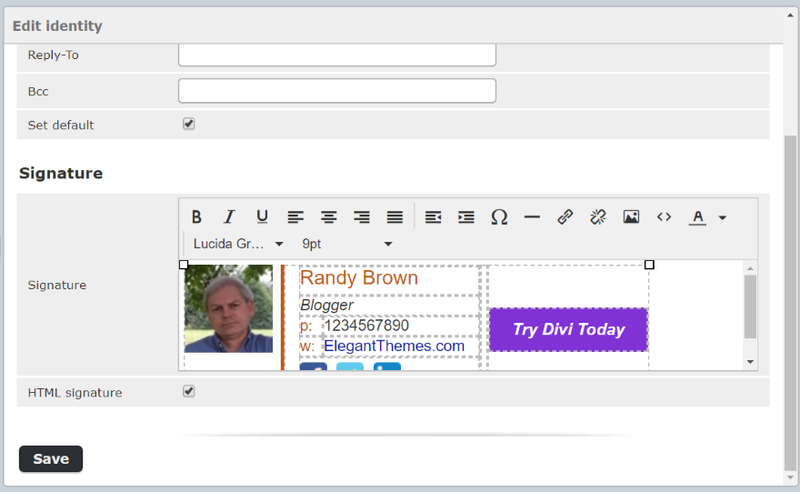 In most email clients you can hover over the sender’s name and it reveals the address in a popup (or, tooltip). If it doesn’t show, then you’ll see the address when you click to reply. Adding it again is just adding clutter, and if there’s too much for them to look through they’re more likely to ignore it all together. I’ll add it if I have room, but if it starts to seem like I have too much included then the email address is the first thing to go. Quotes and cute images look like a personal email rather than a business email. Keep the content focused on your business and provide information that supports your business. As strange as it may sound, studies show that a signature that states Sent from my iPhone retains credibility even if it has spelling and grammar errors, while those sent from a desktop that contains errors lose credibility. People tend to be more forgiving because they know the difficulty of typing on a mobile screen on a device that corrects your spelling when it doesn’t actually understand the business you work in. This is an excellent approach to communicating with mobile, but not everyone uses iPhone. An alternative is to create a mobile signature that apologizes for spelling and grammar. 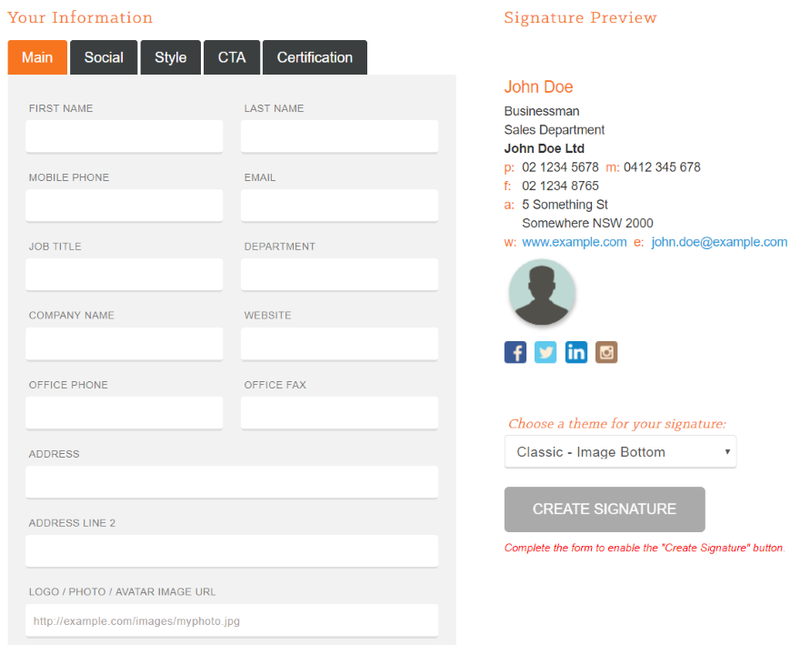 If you do use a standard desktop design even with mobile devices be sure to test your signature on mobile. 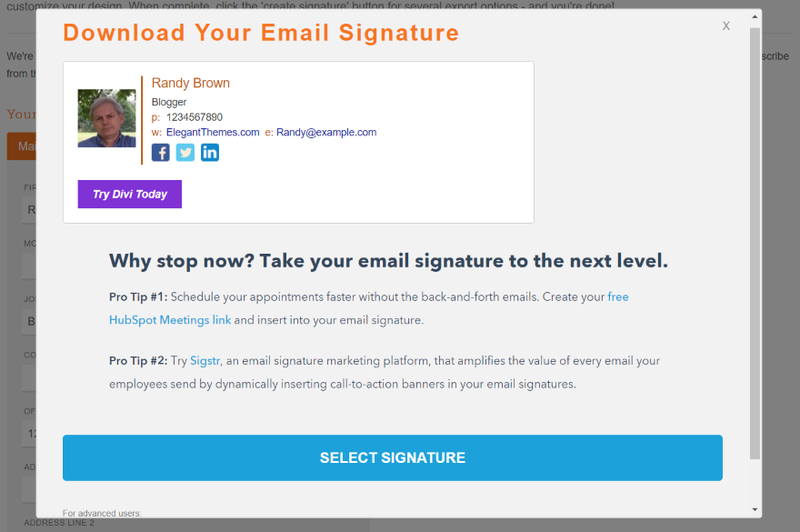 Let’s take a look at Email Signature Template Generator from HubSpot. Email Signature Template Generator from HubSpot is a free tool with image layout options, social icons, styling, a call to action, and certifications. It’s intuitive and it provides HTML that you can copy and paste. This generator requires you to include an email address and only has one typeface, but you if you’re familiar with HTML you can customize it easily. It shows your signature live as you enter the information. 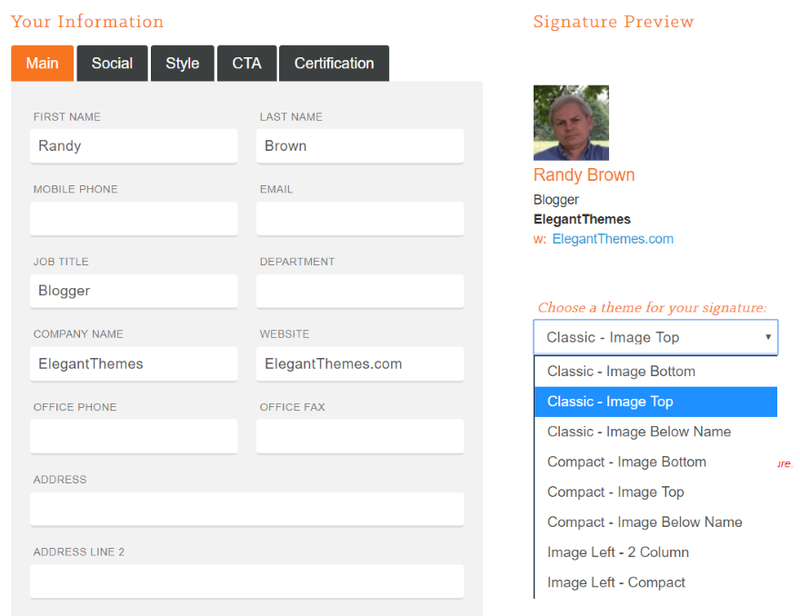 Theme options let you choose the layout you want, which mostly controls the image placement. Here’s the basic design using my name, title, the website URL, and image. I chose the 2 column layout with the image on the left. This layout already has 4 lines. I want to add social networks without having too much to look through. One option is to add a fifth line, but maybe a better option is to remove the company name to keep the layout cleaner. This works in this case because the name is in the URL. Some generators let you make the company name clickable. Here’s the new layout without the company name and with social network icons added. 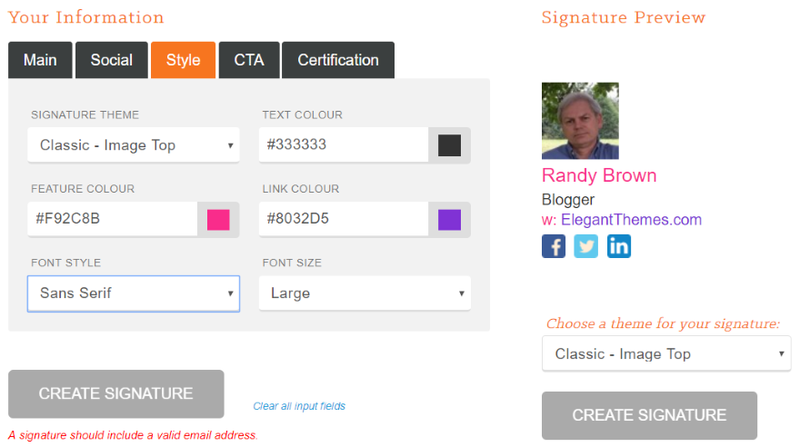 The styling features let you choose the theme, text color, feature color, link color, font style, and font size. In this example, I chose the classic layout with the image on top, added some Elegant Themes’ colors, and set the font size to large. For this one, I used the compact layout with the image below the name and changed the colors. I also chose serif for the font style. With the color and serif/sans serif options you can get it the mood you want. The call to action adds a button with text and a URL. You can enter the text and choose the text color, background color, and text style (choose from normal, bold, italic, or bold italic). Instead of a button, you can enter an image address. You can’t resize the image here, but you can resize the image in the HTML code that you get once you create the signature. Add a certification from the list. It places the icon for that certification above the CTA. When you’re ready, click Create Signature. 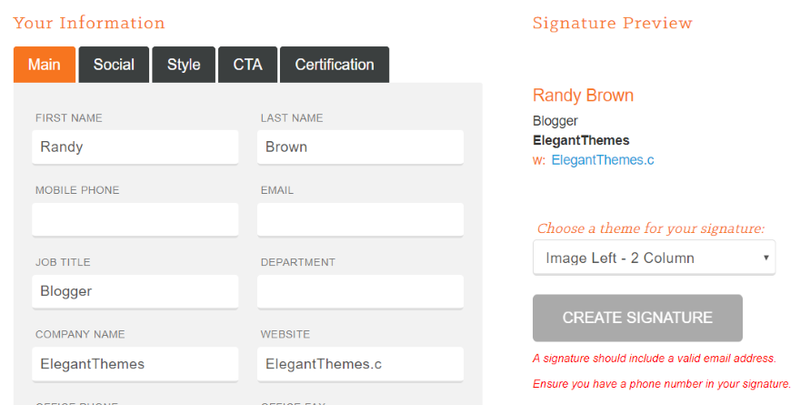 It will open a modal where you’ll enter some more information and see the signature. You can either download the signature or select the HTML source code. Copy the signature and paste it into your email’s settings. You might need to select HTML and choose Source Code. Paste the code into the field. The email signature is now ready to use. I’ve removed the email from the HTML and moved the CTA to the side. The signature is automatically placed at the bottom of the email. It displays the CTA prominently so it can’t be missed. 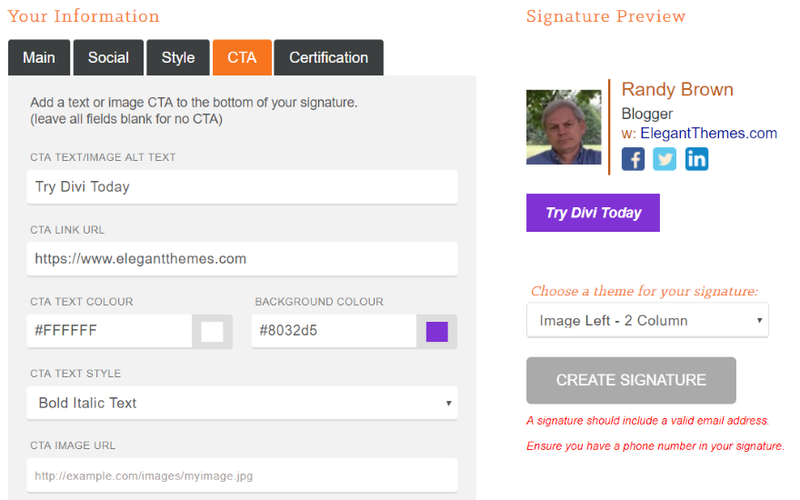 That’s our quick look at how to write a professional email signature that converts. The email signature can be a crucial part of your marketing efforts. There’s nothing to lose in using them. They’re easy to set up and use, they make you look more professional, and they help build credibility. We want to hear from you. Do you use email signatures in your work email? Let us know about it in the comments below. Did it on a lark one day years ago, I still get comments on it all the time. Email signatures are definitely important. I’d say in some cases, when done right, they are even more important/effective, than email newsletters. I remember I had all sorts of headaches with my own email signature a while ago. My problem was that I wanted my HTML signature to look consistent on all devices/email clients & also be responsive (which was the biggest problem). I thought hey, it’s 2018, surely that’s gotta be possible to have a responsive HTML signature that would look great, regardless where I send it from or who I send it to. I know, very naive of me, since, as I quickly discovered, we might be in 2018, but email technology is still in year 2000 at best, running off of Windows ME on Internet Explorer 5.5. But after countless days of research, and old HTML/CSS sneakery & hackery, I have successfully crafted one for myself! And funny enough, a lot of my clients noticed it immediately and loved it so much that making those responsive email signatures for my clients is a big part of my work now.. So I’d definitely recommend for people to have a nice signature, it gets noticed. Thanks Alex! It sounds like your email signature really paid off! Great tips. I’ve been using Wisestamp for awhile and you just reminded me it’s time to do an update (and trim down the info!). Hi. Social icons are online images, right? I don’t like to receive email with images that are put only for displaying a portrait or a logo because then it does Apple Mail.app think that there is a file attached. I work PAO and email with attached files are usually more important to look at because it probably contains elements that clients want me to include in a brochure or a web page. What about Social network emoji icons ? Are there some that can be displayed properly on both MacOS and Windows ? Thank you. 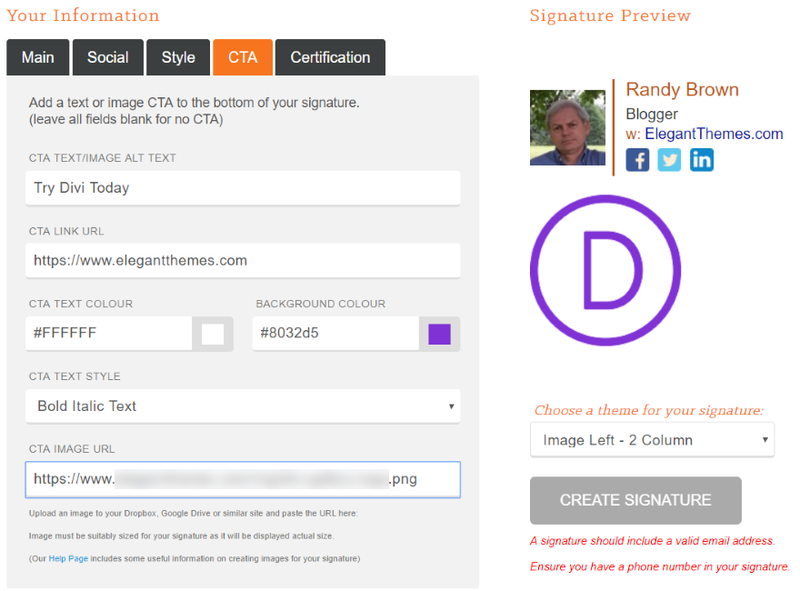 It is possible to include HTML images in your signature without them being picked up as attachments. You just need to add a nosend=”1″ attribute to the . As you can see, the sizes are displayed both as attributes & style declarations – that’s important. Also, NEVER use HTTPS for file sources, only HTTP, since different older versions of Outlook get those files blocked. And if the size you want is 32px, the image itself should be at least 64px, so that it looks sharp on Retina/iOS screens. If you get all of those right, the image will look good pretty much everywhere. But there are lots of other issues & small variances that you should be familiar with, when it comes to email HTML. Email signatures are an absolute beast to develop. It took me months to perfect & polish my own signature templates and even now, after a few years of using & selling them, I am still constantly improving my templates for new clients, because I work on them all the time and discover new problems/issues/hacks/workarounds etc. Thank you very much, Alex. Although your comment is truncated from place to place, I will keep in mind this attribute nosend. For example, I will search for it in the code that services mentioned above produce. 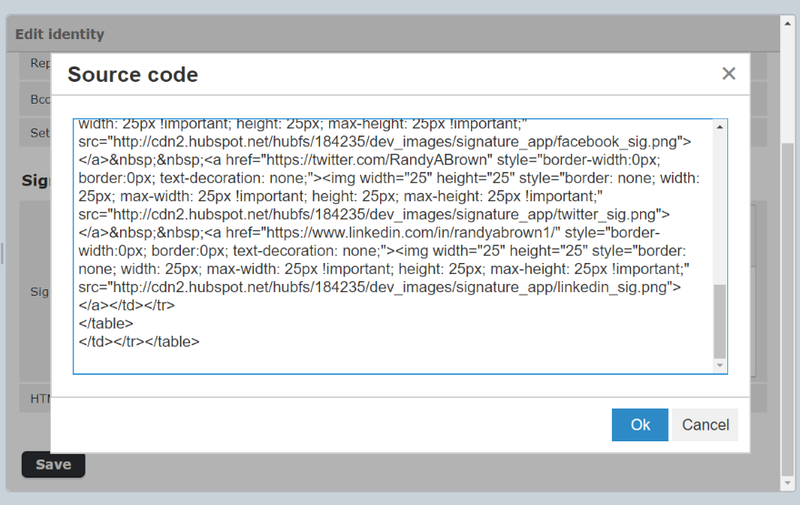 I didn’t know that creating html email signatures was a job per se. I am glad for you, even if it is so hard and probably frustrating to achieve. But for my company this post is very helpfully. Another reason to not use so many links in the signature of an email is that you run the risk of getting yourself flagged as spam. There is nothing worse than working on an email to someone just to have it be kicked because of too many links and lose a deal or tick off a client because they think you aren’t responding. Thanks to your post today I already have a professional email footer. Many thanks for putting this together. 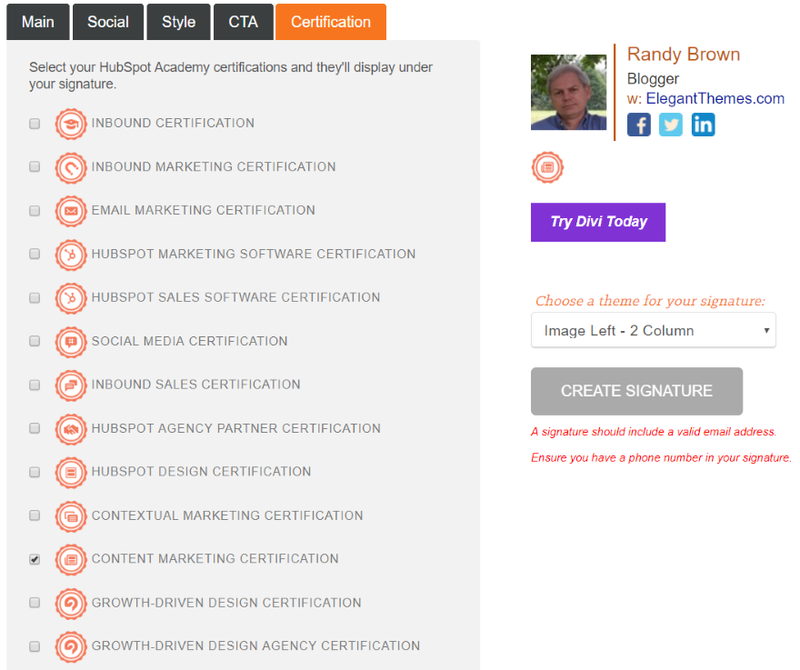 Recently we have started to pay more attention to email signatures and your post provided a lot of good advice. will come back in few months and report back on conversion rates.